It seemed like over the summer, i saw recipe after recipe for some variation of sweet potato tacos. 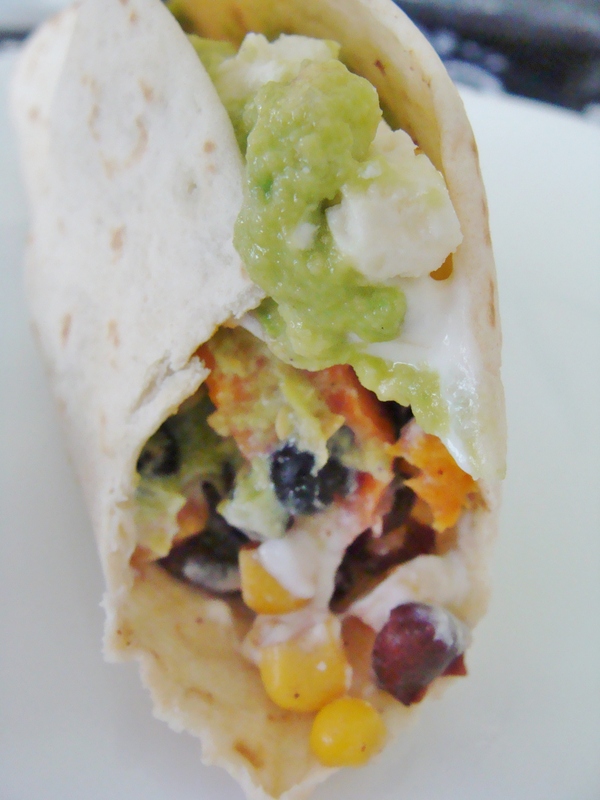 I decided to whip up some of my own, featuring roasted sweet potatoes, black beans, corn, lime sour cream, guacamole, and feta, and was very very happy with the results. All the ingredients come together really quickly, especially if you decide to roast your sweet potatoes ahead of time (or use leftovers). Heat a large skillet over medium heat. Drizzle with olive oil, and pour in your corn kernels. Let the corn heat until it begins to brown. Then toss in your black beans (which have already been rinsed and drained). Add in 1 tablespoon of lime juice to the corn and black bean mixture. Whip up a quick “lime sour cream” by putting 1 cup of sour cream in a small bowl and seasoning with sea salt and 1 tablespoon of lime juice. Mix well. When you are ready to put together your tacos, heat your corn tortillas on a grill pan until warmed. Remove from the grill pan to a serving plate. Place a spoonful of sweet potatoes in the center of the tortilla, followed by a spoonful of the corn and black bean mixture. Add a dollop of the lime sour cream. I also garnished my tacos with a spoonful of freshly made guacamole and a sprinkling of feta cheese. Time to take a big bite. § One Response to roasted sweet potato tacos. « slow cooker shredded beef with french fries. 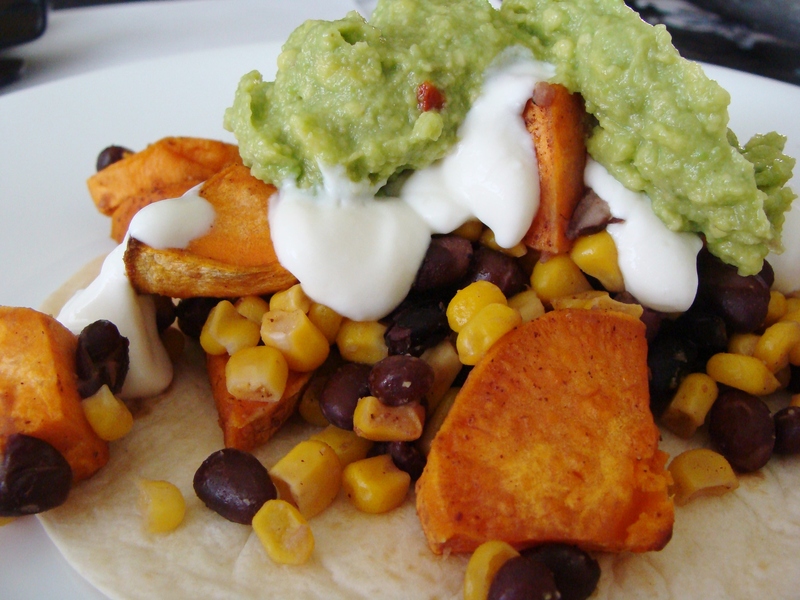 You are currently reading roasted sweet potato tacos. at The Cheesy Kitchen.